If you are like me and love watching your dwarf hamster play, chew and be happy, then you will want the best dwarf hamster accessories for your much loved hamster. Why are Hamster Cage Accessories Crucial for a Happy Hamster? A life without a interaction, entertainment and change would be dull. This is very similar to a hamsters life without hamster cage accessories. Without playable toys, wheels to run in or tubes to climb through your hamster will simply find other ways to “entertain” themselves. This usually results in biting/climbing on the bars causing danger to your hamster and possible fatal outcomes. 1. Happier lifestyle, making them easier to tame, handle and play with. 3. Healthier overall hamster because it will be keeping fit, roaming and doing what it loves… Exploring. Hamster Accessories are very important and play a give role on a hamsters life. Here are our TOP 10 accessories for dwarf hamsters. Number 10 is the wooden cube. The wooden cube is so simple yet so effective. Although plastic cubes are available, they never provide the fun for dwarf hamsters. Being made of wood it is “fully chew able” whilst providing a great way to keep their teeth in shape. Our wooden cube has lasted for almost 3 years now and I still see our hamsters enjoy it. The wooden cube has holes on each angle, hamsters can climb through one way and come out any other way. This is only suitable for dwarf hamsters and is too small for Syrian hamsters. You can find this at your local pet store. Number 9 makes any cage more enjoyable, fun and exciting. Dwarf hamsters in the wild love to dig tunnels, holes and live underground. This movable tube will help them feel at home whilst giving them new places to hide. You will need some space for this as it is roughly the length of a adult human hand. See more reviews here. 8 is a form of recycling in a way. Toilet tubes provide excellent bedding, portable tubes and store able materials for dwarf hamsters. They LOVE running through them, ripping them up and created nests with them. Here is one of our Russian dwarf hamsters making use of his toilet tubes. All types of tubes cardboard tubes can be given including kitchen roll tubes. 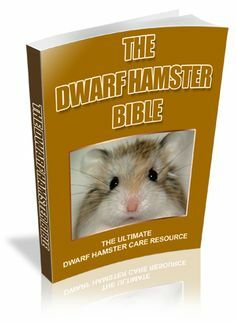 Simple but yet again very fun for dwarf hamsters. This provides hiding areas, miniature housing and also helps teeth as It is chew able. This dwarf hamster accessories can be found at your local pet store and comes only in one color. It can be placed anywhere and goes well with sawdust (bedding). Tissue Paper is a great cheap alternative to buying hamster bedding and requires no more than just putting into their cage. Hamsters natural instincts kick in when they see toilet roll and they create nests, beds and more with it. Instead of throwing away those toilet tubes after, let your hamsters play with them. Fresh fruit or veg once a week is a great way to keep your hamster happy and healthy. See which fruits and vegeatbles are suitable for your Russian dwarf hamster in our care section here. 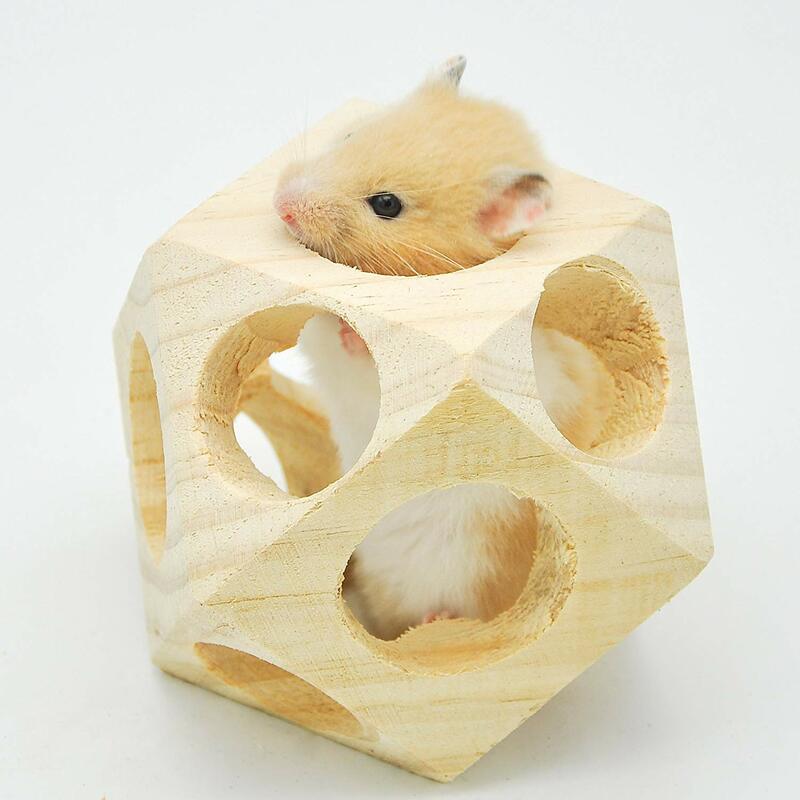 Bendable wooden accessories are one of my personal favorite dwarf hamster accessories and can be moved around to create hamster houses, walls and platforms. These are truly a must have for any dwarf hamster cage or aquarium. See the best deals on these here. The silent spinner is a faster spinning wheel that can be used anywhere. It also can be attached to a cage with bars or placed on the stand. This faster wheel makes watching hamster running amusing. We recommend this over 90% of standard wheels that come with cages. An excercise ball will keep your hamster fir and health whilst also providing some time out of the cage. The exercise ball is simple and requires your dwarf hamster to control it from the inside. Never use this near stairs. The flying saucer is our number 1 in this top 10 dwarf hamster accessories. It’s a great Hamster cage accessory because It can be used as a dwarf hamster wheel, is portable,lightweight, provides hours of running and fun. This is better for a hamster back than a wheel as the back is straight whilst running. This helps prevent future problems that could be expensive. We recommend the flying saucer over most wheels as it is very easy to use and every hamster loves this. Pingback: Dwarf Hamsters - Should I Get One or Two?